GOODWILL COURT is located at 79 - 87 UPPER EAST COAST ROAD in district 15 (Katong, Siglap, Tanjong Rhu) of Singapore. GOODWILL COURT is a Condo development. Educational institutions like SEKOLAH INDONESIA, ROSEMOUNT KINDERGARTEN, ROSEMOUNT INTERNATIONAL SCHOOL, OPERA ESTATE PRIMARY SCHOOL, ST. STEPHEN'S SCHOOL and NGEE ANN PRIMARY SCHOOL are near to GOODWILL COURT. GOODWILL COURT is accessible via nearby BEDOK, KEMBANGAN and BEDOK NORTH MRT Stations. Very convenient location. Close to all amenities and served by excellent bus service to CBD and Suntec City etc. Extremely convenient location. 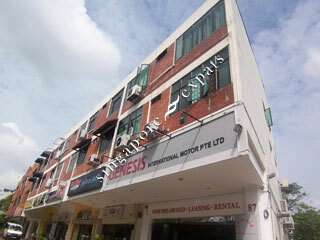 Close to all menities and great bus linkage to Suntec City, CBD, Orchard Road and China Town areas. Next to park-link and only 10 minutes walk to East coast park.